A few years ago, writing this list would have been a challenge from the lack of options provided for vegetarians in Auckland. However, the rise of vegetarians in our city has flipped the situation around and has made it hard for us to pick the best eateries. After some hunting, digging and a whole lotta tasting, we have finally cracked down a list of some of the top eateries that serve up the tastiest vegetarian dishes. Here is a list of Auckland’s best vegetarian eateries. Experience a café solely dedicated to vegetarians with a creative and extensive menu that proves there’s more than just salad for the herbivores out there. Whether you’re up for something sweet or savoury, there’s something for everyone at Rabbit Café. Every dish here is meat free and there are also plenty options for vegans too! Their most popular dish is their French toast with dark chocolate banana, whipped coconut cream and chopped nuts to add texture. Their roasted parsnip banh mi is also a show stopper so make sure to check that one out too! With “I <3 VEGAN” on their main window, Café Mimosa ensure they are cook up some epic vegetarian goodness in their kitchen. Café Mimosa has a creative menu to show us all that being vegetarian does not mean fun food has to be sacrificed. Vegetarian eggs benedict with tempeh bacon, red velvet vegan waffles topped with coconut whip and the yummiest banana bread in town, Café Mimosa is constantly surprising us with their innovation. And, don’t even get us started on their cabinet food—the raw treats are truly the bomb. 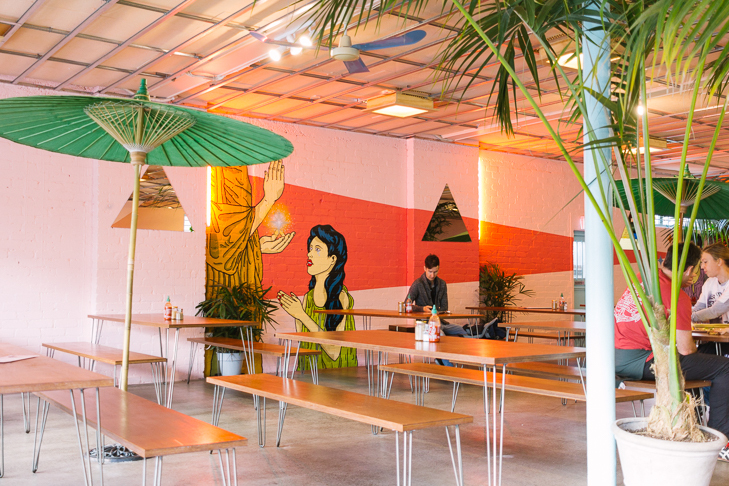 Speaking of raw, we can’t miss out on the Auckland OG raw vegan hub. Little Bird Unbakery were one of the first in Auckland to introduce us to the raw vegan movement with their bird bowls of absolute health, superfood smoothies and of course, their raw cheesecakes and slices. Home of one of the best caramel slices in town, it’s hard to believe that these bad boys aren’t only free of animal products but also refined sugar! The Unbakery also whip up the richest raw vegan raspberry and cacao brownie, which is so decadent and rich, you won’t believe that it’s made from only natural ingredients. Odettes Eatery offers a menu that has it all and is enjoyed by people no matter what their dietary requirements are. Although Odettes is not a café that is targeted at the vegetarian public, they won’t let anyone miss out on a tasty experience. Cauliflower lentil and halloumi, wild mushrooms doused in whipped feta, vanilla crepes and maple granola with peanut yoghurt are just a few of their many vegetarian creations. So good that carnivore’s find themselves going for these meals without even realising! 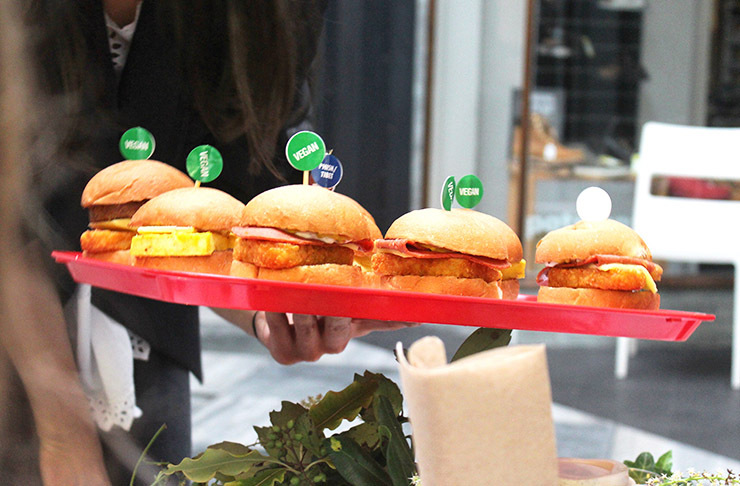 Another café that is enjoyed by all is The Store Britomart. They do classic breakfast foods sausages and bacon but The Store know how to work their magic for vegetarians, too. The agria gnocchi is a pasta dish that is simply 10/10. The soft texture of the gnocchi is complimented with creamy sauce and parmesan topping and contrasted with the herbs and fresh produce. Sweet tooth vegetarians, don’t you worry as these guys have your back too. Sure, they have the good old granola, French toast and pancakes but they take things next level with their incorporation of poached fruits to add an extra special tartness to the dish. You don’t have to be a meat eater to enjoy an epic burger as Better Burger has got the meatless vegetarian goods when it comes to this comfort food. Their mushroom burger is not just any old mushroom burger. Better Burger gets serious by deep frying a huge mushroom, turning it into the most indulgent treat. Paired with their special secret sauce and golden agria potato fries, Better Burger’s mushroom burger is perfect for both vegetarians and non-vegetarians as this tastes bomb. If you’re looking for a burger but avoid both meat and dairy, look no further than Lord of the Fries. This 100% pure vegan fast food join doesn’t fool around with food and has created what many of us thought was impossible. Their mock meats make you forget that you’re not actually consuming any animal products—and they don’t just stop at burgers and fries. 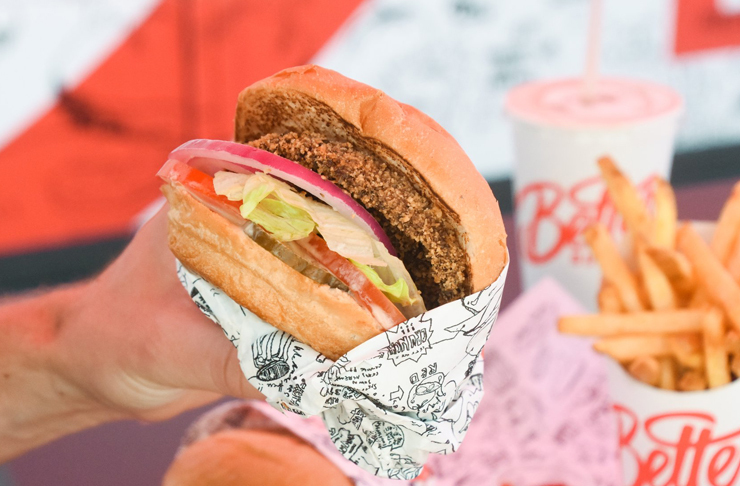 They serve up loaded up hot dogs, onion rings, nuggets and fried “chicken,” making Lord of the Fries the ultimate cheat meal eatery for the vegetarians of Auckland. American inspired diner food doesn’t always have to include a big hunk of meat and Ralph’s does a hell of a fine job at making this a solid fact. Ralph’s vegetarian sloppy joe with nacho cheese, jalapeños and lime cream is one that will stay in your minds as it’s just that good. Speaking of jalapeños, they do a killer starter dish called the jalapeño poppers and they are 10/10 ultimate yums. Panko crumbed jalapeños stuffed with melted cheese? Yes please! Along with the fun and vibrant environment, Kiss Kiss Eatery has vegetarian food to match. The gem located in Balmoral, and has a menu specialising is Thai cuisine. Better yet, Kiss Kiss has made sure to keep their vegetarian friends feel welcome. From fried tofu steamed buns to pad Thai that you can turn either vegetarian or vegan, the versatility of their dishes has seen Kiss Kiss become a go-to venue for squad dinners. They even have an authentic Thai dessert on the menu which happens to be vegetarian—sticky rice with mango! Not too sweet but perfectly tart and creamy, you won’t regret it. Who said you need meat to have a fiesta?! Mexico has an evolving their menu that caters to vegetarians. The beetroot hummus dip, crisp patatas de maiz with jalapeno crema and the Portobello mushroom quesadillas are some of our all-time faves at this joint. However, the vegetarian options don’t stop here as the friendly symbol “V” is scattered across the menu to ensure there’s lots for vegetarians to choose from while dining at Mexico. Don’t forget to save some room for their infamous cinnamon spiced churros with sweet dulce de leche and crunchy pistachio praline! You know it’s a good vegetarian eatery when there’s a whole section on the menu dedicated for the meat free meals. Baduzzi is renowned for being one of the best Italian restaurants in Auckland and vegetarians do not have to sit out on this fine experience. The saffron and potato tortellini is infused in a creamy, buttery sauce, accompanied by a fig confit and crunchy almonds, making this vegetarian pasta one of the best vegetarian dishes in Auckland. If you’re a vegetarian who still consumes dairy, hop on to their dessert menu as Baduzzi doesn’t mess around when it comes to their tiramisu and Valrhona chocolate torta caprese. The premium selection of vegetarian dishes along with the posh interior makes Baduzzi a favourite for those wanting to have a classy session of wining and dining.